Innovation is the name of the game for almost any industry today. In order to keep up with the constantly changing market, manufacturers recognize that it is time to get serious about adapting and finding smart solutions in order to remain competitive. As a result, much of the fashion world is turning to digital or technological solutions to keep pace in a rapidly evolving industry. Manufacturers in every industry are considering the benefits of “smart factories” powered by IoT (Internet of Things) tech[MOU1] . The ultimate goal for any factory of the future is to minimize, and ultimately eliminate, problems such as inefficiency, waste, and downtime. While smart factories may differ in specifics from company to company, the general principle is that processes can be improved through self-optimization and automation using the combination of production, information, and communication technologies. Smart factories also allow for the possibility of integration across the entire supply chain. The benefits of smart factories go far beyond just physical production – development, logistics, and planning can all be improved by a smart factory’s data collection and access to real-time information. Interconnected devices are able to communicate with each other, and through their communications, the factory gains far more transparency and visibility, which can all be used to make better and more informed real-time decisions. This interconnectivity allows fashion manufacturers to better manage quality assurance, particularly because the technology allows for constant monitoring of products before release. If something goes wrong, workers will be alerted, and the mistake can be easily corrected. This translates into more quality products being delivered, which also reduces waste and improves customer satisfaction. Due to smart factories’ self-optimization features, processes throughout the entire plant can be tested and then streamlined. 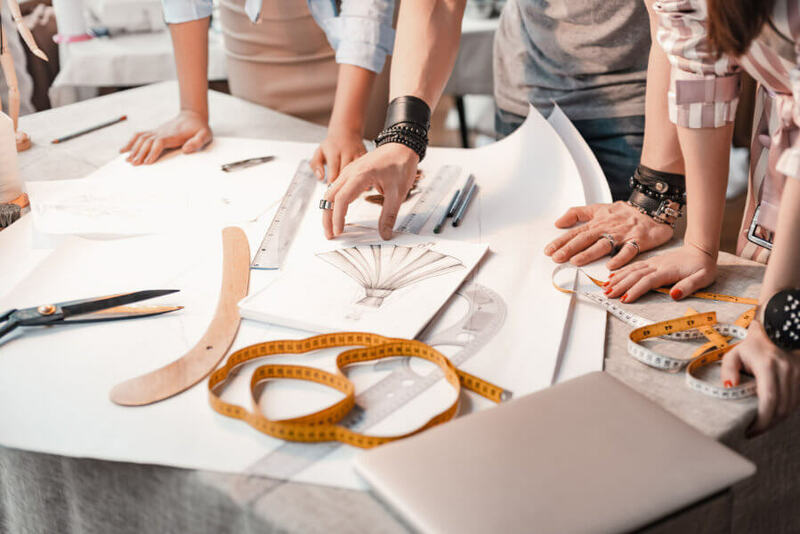 Fashion manufacturers are able to see which parts of the process may be broken or redundant, allowing for a more optimized and efficient supply chain to come into play. The biggest benefit, however, comes as smart factories collect and analyze data from all parts of the supply chain. Manufacturers are able to access a wealth of information, allowing them to make better informed decisions. In addition, companies can now respond to problems as they arise in real-time, thus creating a more adaptable and flexible environment. Despite all the benefits, some organizations will be slow to adopt smart factories due to concerns about the costs associated with implementing new technologies and adding the network to connect them. This is often a misconception. Partnering with the right fashion-specific technology provider can ensure a cost-effective and smooth transition to smart manufacturing. At Exenta, our clients find an overwhelming ROI just months after implementing our ShopFloor Control solution. As the apparel industry increasingly embraces the benefits of smart manufacturing, those who wait to adopt new technologies will find it very challenging to compete in this era of fast fashion.